This month we're pleased to present the picks of authors Caroline Adderson (Ellen in Pieces), Kate Taylor (Serial Monogamy), Edeet Ravel (The Saver), Anna Leventhal (Sweet Affliction), and Shari Lapeña (The Couple Next Door). Caroline Adderson is the author of four novels (A History of Forgetting, Sitting Practice, The Sky Is Falling, Ellen in Pieces), two collections of short stories (Bad Imaginings, Pleased To Meet You) as well as books for young readers. Her work has been nominated for the International IMPAC Dublin Literary Award, two Commonwealth Writers' Prizes, the Scotiabank Giller Prize, the Governor General's Literary Award and the Rogers' Trust Fiction Prize. Winner of two Ethel Wilson Fiction Prizes and three CBC Literary Awards, Caroline was the recipient of the 2006 Marian Engel Award for mid-career achievement. Deafening has sat on my to-read shelf for a decade; I finally got around to it this summer. 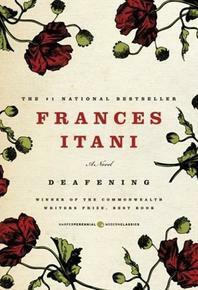 What is remarkable about Frances Itani’s novel of small-town Ontario and the First World War is its depiction of deafness. The heroine, Grania, loses her hearing in early childhood after a bout of scarlet fever, and the novel follows her from the age of five to adulthood, when she marries a hearing man who goes off to the front. Through its description of confusion and isolation, of lip reading and sign language, and most especially of silence, Deafening actually made me feel what it might be like to be deaf—rather the way Jane Urquhart’s descriptions of the Irish potato famine in Away made me consider what it might be like to be starving. Grania triumphs over the fears and frustrations of her childhood when she attends the Ontario School for the Deaf in Belleville and from there the novel moves to an equally engrossing description of the Western Front where her new husband works as a stretcher bearer. I’ve read lots of First World War literature; Itani’s description of the bloodshed sets itself apart with its bleak honesty and detailed realism. As I read, I assumed that the deaf Grania would somehow voyage to the noise of the guns—that her story would directly and dramatically intersect with that of the war. But she stays back in Deseronto, waiting for her man. I came to realize that was a more honest solution, true to the reality of the home front and to the resolute character Itani had created. Kate Taylor is a Toronto novelist and cultural journalist. Her debut, Mme Proust and the Kosher Kitchen, won the Commonwealth Writers’ Prize for best first novel (Canada/Caribbean region) and the Toronto Book Award. She has also won the National Newspaper Award for her work at the Globe and Mail where she currently serves as lead film critic and writes a weekly column on culture. Her third novel, Serial Monogamy, has just been published by Doubleday Canada. 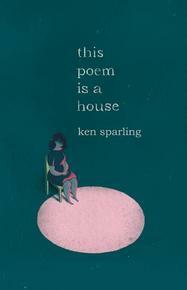 This poem is a house is mesmerizing, mysterious, thrilling. It’s like a piece of music you want to hear again and again. Its beauty made me teary, but it is also full of wit and humour. There isn’t a word that isn’t just right for where it is. I love every single page. I love the beginning, I love the way it ends, I love the continual rhythm of coming and going, intimacy and loneliness, fusion and separateness, poetry and prose. The words themselves converge and separate, they are in flux, they move around until they find the right place to be, for a moment, and in that moment they capture the light, and then they move away and float about until it’s time to land again, often in a very funny way ... The book is about a courtship, but also about breathing and living and trying to understand and not trying to understand at all because that's the only way to understand. The possibilities of experience are endless and always open. It's all breathtaking, and sweet, and there's so much wisdom ... Even the way the lines appear on the page create or recreate that rhythm of knowing and not knowing. I’ve been a Sparling fan from the first time I read Dad Says He Saw You at the Mall, which is a joyous classic. Edeet Ravel's work includes three internationally acclaimed novels on the Palestinian-Israeli conflict. Ten Thousand Lovers was translated into several languages and was nominated for the Governor General’s Award. Look for Me won the Hugh MacLennan Prize. A Wall of Light was a finalist for the Giller Award and the Regional Commonwealth Prize, and also won the Jewish Book Award of Canada and the I. J. Segal Award. The Saver, for young adults, was selected for the Canadian Children’s Book Centre Best Books, OLA Best Bets, and the Canadian Children’s Book Centre Choice. Edeet’s novel, Your Sad Eyes and Unforgettable Mouth was selected for the “Globe 100” books of the year. ​I had to get Islands back from a friend so I could write a recommendation—it's the kind of book that won't be in your possession long. You'll be forever lending it out, and then wishing for it back to revisit that one phrase, that one image, that one song. I lack the language to do justice to this book properly. Maybe if I were a poet, or a musician, or a deep-sea diver, I'd know where to start. I'll have to read it at least six more times, over maybe twenty years, before I begin to understand what Simpson is doing. 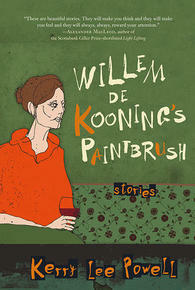 ​The stories and songs themselves dispense with every trope of the "well-wrought short story." There are no clever plot twists or sweeping character arcs here; instead, there's something more complex and nuanced emerging in these brief vignettes, at the level of the sentence, or even deeper. 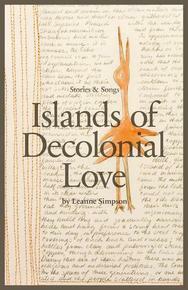 Simpson's language is fierce and precise, with the warm rhythm of speech and a wry wit that strikes unexpectedly. The moments she lets us in on—from death at a curling rink to a lost toy canoe to finding another of your kind after millennia—are tender as bruises, almost painfully intimate, as her characters look for instances of recognition, of seeing and being seen. This book will raise new questions, or give shape to old ones. It'll stay in your head for a long time, even if it won't stay in your hands. Anna Leventhal lives in Montreal and writes fiction and nonfiction. Her first book of short stories, Sweet Affliction, was published by Invisible Publishing in spring of 2014. Stacey Madden, writing in Quill & Quire, wrote of the collection: "Sweet Affliction has the ability to make you bark with laughter, choke back sobs, and gasp in wonder, sometimes in the span of a few lines." 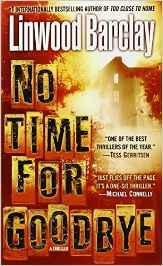 The book I’d like to recommend is No Time for Goodbye, by Linwood Barclay. It’s a compulsive read, and it’s the book that first made me want to write a thriller myself. Fourteen-year-old Cynthia wakes one morning to discover that her entire family—mother, father, and brother—have disappeared without a trace. They’ve disappeared—and left her behind. Without a note, without any explanation. Fast forward twenty-five years. Cynthia is now an adult woman with a child of her own. She has never stopped wanting to know what happened to her family that night. Were they murdered? Kidnapped? Did they abandon her? Why? Desperate for closure, she agrees to appear on a reality TV show to recreate the crime to try to generate some new leads on the case. After that, odd things begin to happen. The marriage between Cynthia and her husband, Terry, is already under strain. The story is narrated by Cynthia’s husband, Terry, which gives the reader an interesting perspective on Cynthia, who is losing her grip. Did she kill her family all those years ago? This is a classic page turner. I could not put it down; I had to know what happened. It has all the elements: a great premise, lots of unanswered questions, interesting characters, unexpected twists and turns, and great pacing. No Time for Goodbye is a great book to lose yourself in. Shari Lapeña worked as a lawyer and as an English teacher before turning to writing fiction. She has written two award-winning literary novels, Happiness Economics and Things Go Flying; The Couple Next Door is her suspense debut. The Recommend has been running for over two years now, and many of Canada's finest writers have contributed write-ups for the books that have struck a particularly resonant chord with them. See the whole series here.